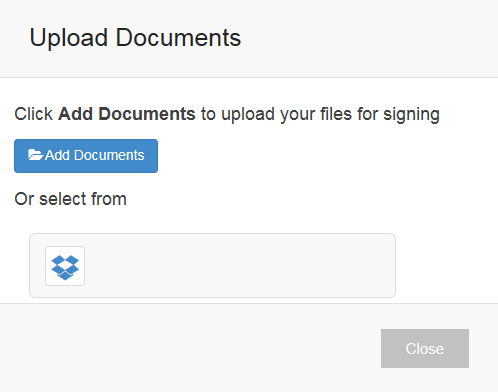 Click Sign on the document you wish to sign (My Documents Inbox) to go straight to the Console and start the process. You can navigate within your document by clicking the thumbnail-preview pages to the right or select a page from the page drop-down menu on the left. Leave these options (Date/Time & Name) checked if you'd like them included with the signature. Uncheck these options to omit them from the signature. Include your Job Title with the signature. 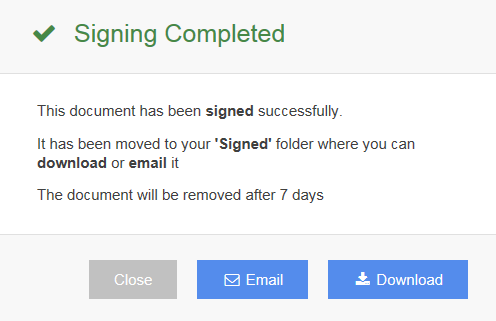 Select (or write your own) reason for signing to embed in to the signature. 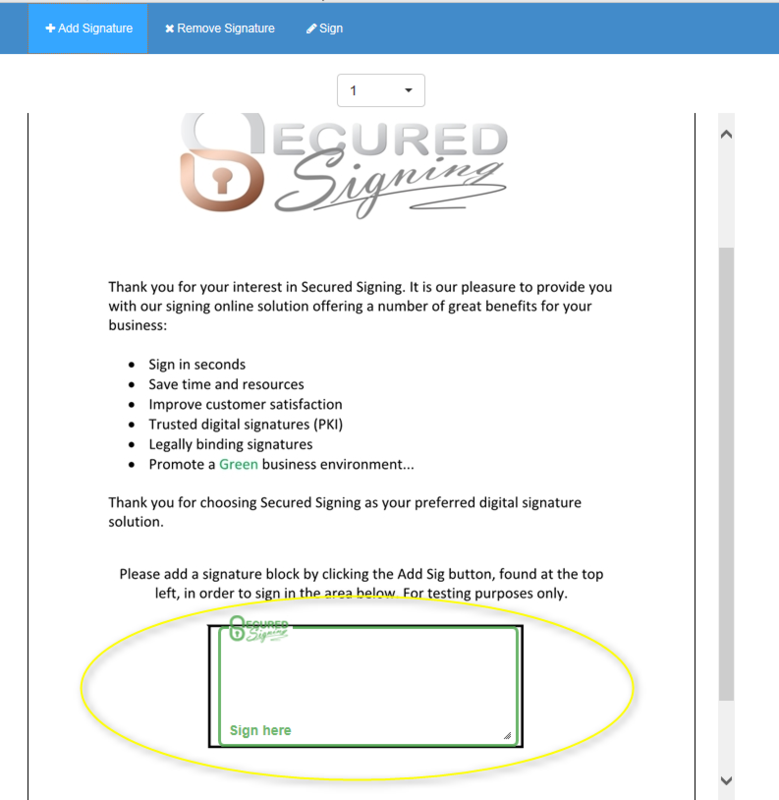 Use the signature block to sign more than one page. 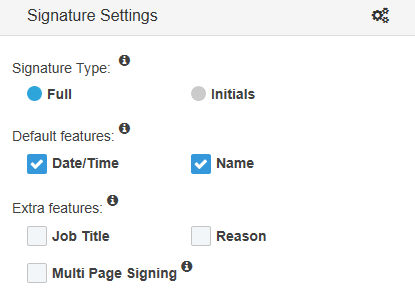 You can sign all pages, even & odd-numbered pages or select specific pages to sign with Page Selection. To reposition / move the signature block simply hover the mouse over the green block, hold the left mouse button down and drag the mouse around the screen. Release the mouse button to drop the signature at it's new location. Click Sign All in the actions toolbox on the left-hand side of your console.